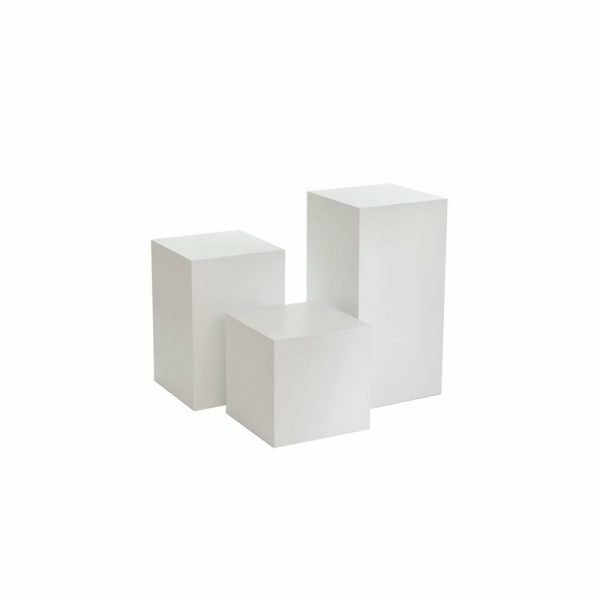 Set of 3 white display plinths at varying heights. A set of three display plinths with three different heights, is the most commonly practiced technique in visual merchandising of products on display. The primary purpose of visual merchandising is the presentation of products in a way that makes them most appealing to the customer to want to purchase. 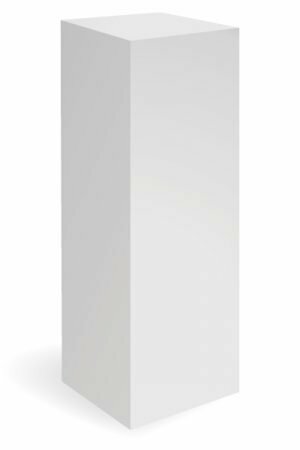 A pyramid style display, the term used for using different heights at your display, allows the customers eye to travel down from looking at the highest plinth first, to the lowest. In Gallery Images we have the photographs from the Art Gallery in Cornwall and how they had varying different heights of plinths to accentuate their artwork display.There are also images from the Sea To Summit plinths which are slightly taller, and have graphics applied. 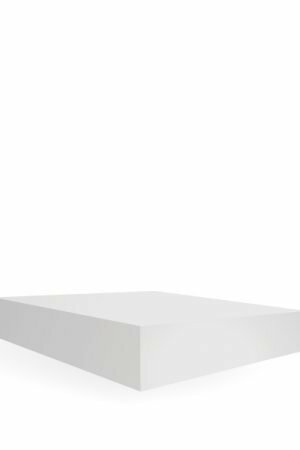 The plinths as standard are spray finished in white. 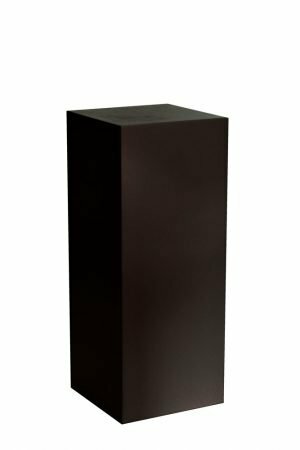 The plinths will hold up to 150kg in evenly distributed weight but we do ask that for heavier items we ask for notice so that the plinths can be reinforced. Colour matching is available as part of our bespoke service, call to enquire about this service. 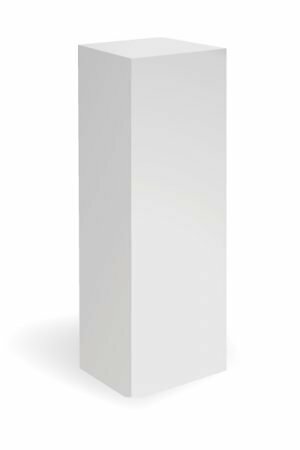 Welcome To Exhibition Plinths. If you are looking for Plinths or Glass Cabinets, then you’re in the right place.